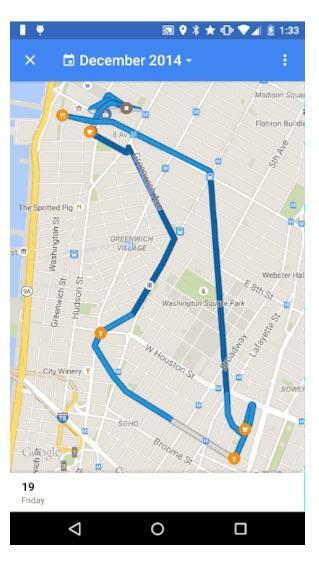 Google Maps probably already knows everywhere you go, and now it’s putting that information to good use. 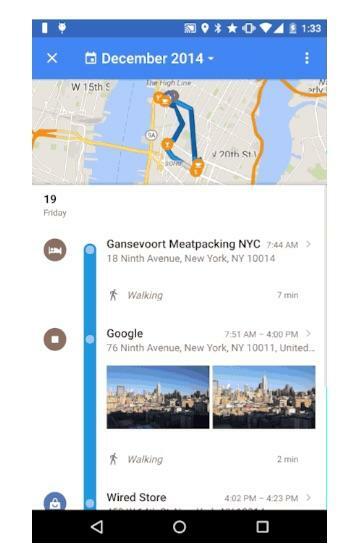 The company announced a new Timeline feature on Wednesday that turns all that data into a handy recap of your every move, even if it’s also a little creepy to see just how much Google knows. 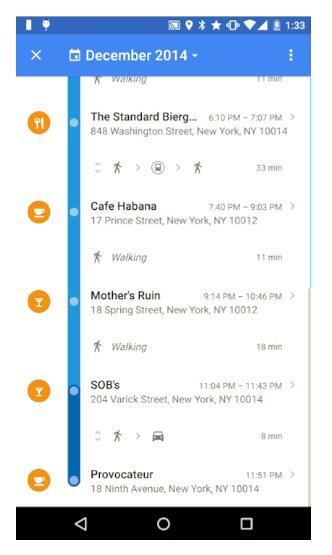 Timeline turns all your Google Maps activity into a chronological list of locations along with how you traveled to each one, how long it took and how long you stayed there. 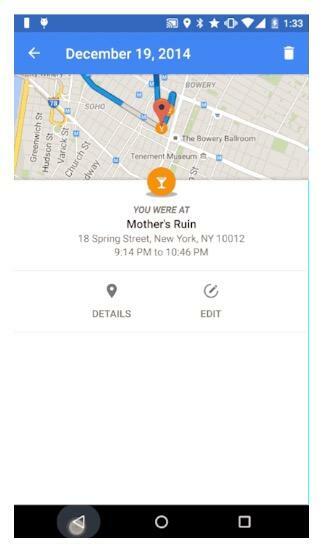 You can even name specific locations like your parents’ house or a favorite spot in the park so it shows up in Google Maps when you log in. 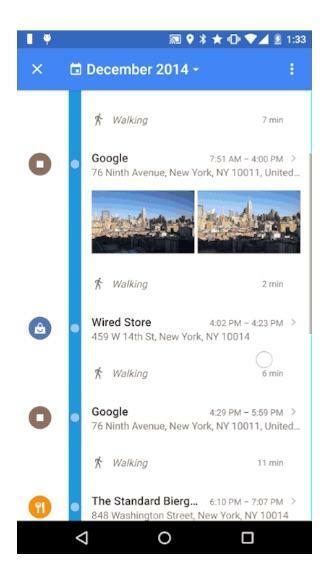 The app will also sync with Google Photos if you use the new service to include pictures you took next to the location and time you took them. Timeline is a not-so-subtle reminder of how much information Google already has on us, but it could also be a very useful tool. Instead of struggling to remember the name of that great restaurant you went to last month you could just pull up Timeline and scroll until you find it. 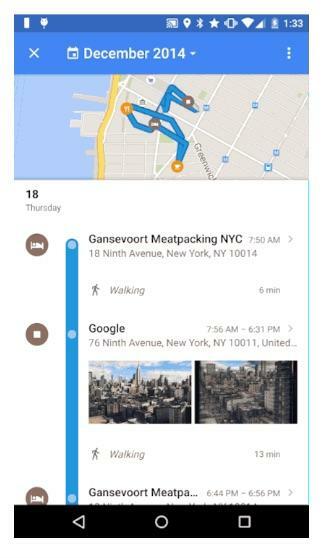 Google promises that no one else can see your Timeline. You can even delete specific days or just clear the history if you want, though that doesn’t necessarily mean the information will disappear from Google’s servers entirely. 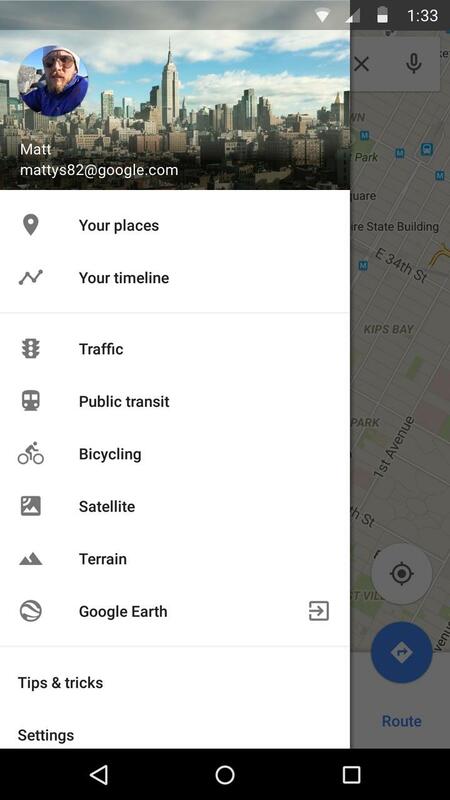 Google Maps Timeline is available now on Android and in your computer browser. We assume an iPhone version is also in the works, though there’s no word when it will become available.